Thanks to my Etihad Guest Gold status and a Double Miles offer, my Air Berlin & Etihad Business Class trip to Jakarta earned me an amazing 46,050 Etihad Guest miles! 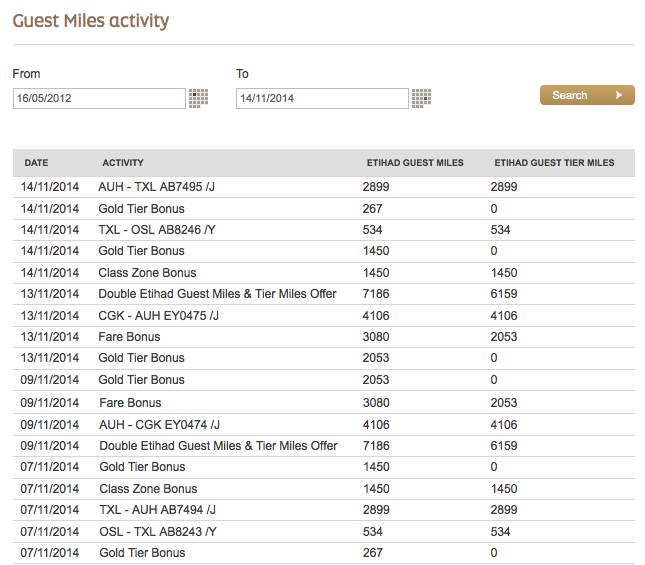 This included 34.402 Guest Tier Miles which is only 5598 miles short of requalification for the Eithad Guest Gold tier! For whatever reason, it was possible to book the new Etihad A380 First Class Apartments at Guest First award level for flights on Saturday October 10, 2015. Other days in 2015 required more than 400,000 miles to book the same seat! 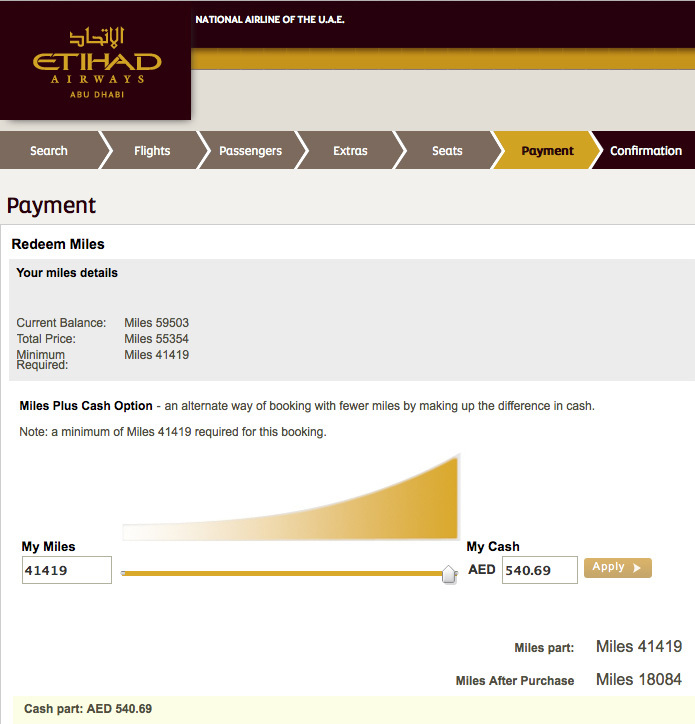 With 13,453 miles from my Etihad Business Class flight back in 2012, my total Etihad Guest balance was 59,503 miles. Enough for this amazing award redemption. I didn’t hesitate and booked immediately. There was Guest First availability in both directions, but I selected the AUH-LHR flight as its air time is 50 minutes longer. 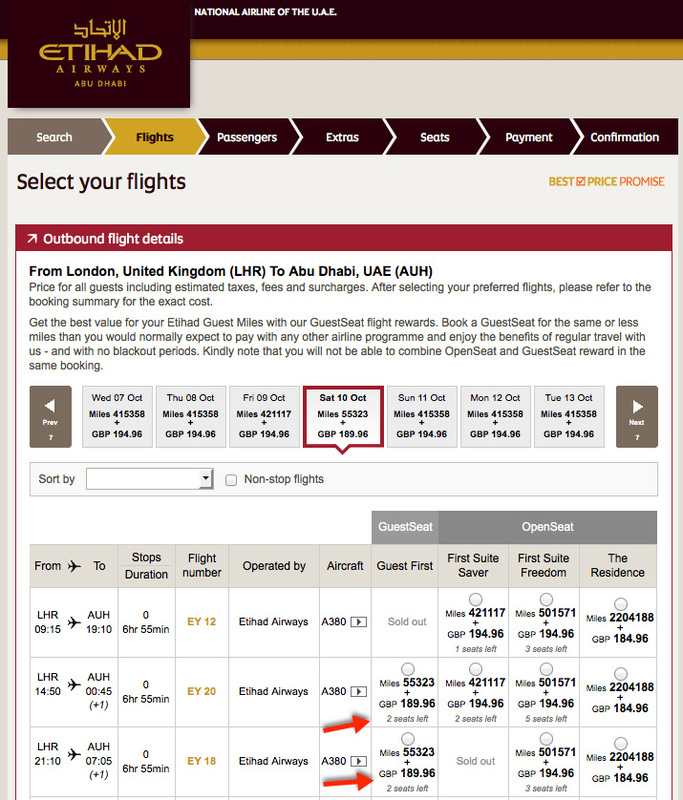 Taxes were also lower for departures from Abu Dhabi, 80 AED (€17) compared to 190 GBP (€240) from London. The revenue fare for my flight was €4813 ($5955). 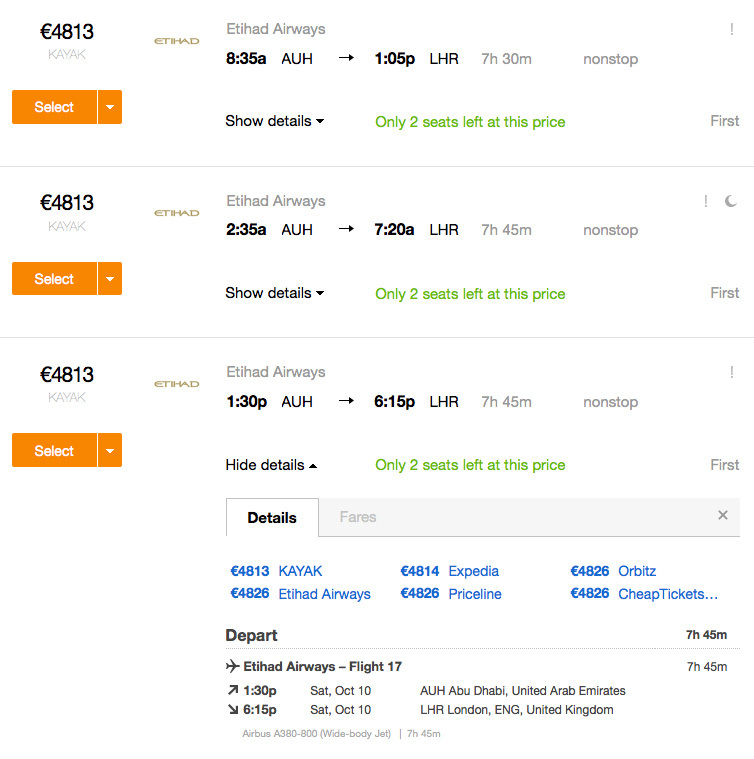 As Etihad Guest miles seemed to be quite valuable, I opted for the Miles + Cash option which allowed me to buy an extra 13,935 miles for 460,69 AED (€102) during the booking process. 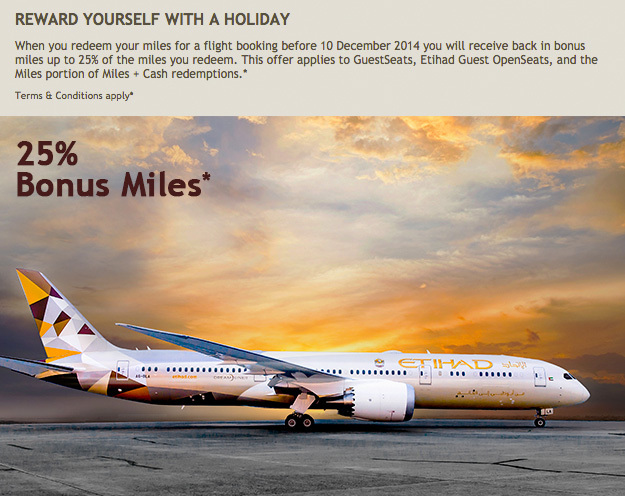 Afterwards, I also noticed there was a promotion for Etihad Guest redemptions until Dec 10, 2014 which would refund 25% of the redeemed miles after the actual flight! What a deal! Let’s hope Etihad doesn’t delay its A380 services any longer, fingers crossed! Keep your miles for valuable redemptions, don’t waste them on this! Intéressant concept van bargain hunting. Business gewijze ben ik een fréquent traveller met Senator status, Enrich Gold on Malaysian, Qatar Gold en ongeveer 150k miles bij Skyteam. Hoe kan ik mijn miles bij Malaysian en Qatar combineren ? How do I apply for these miles? Ok thanks! Will check it out…btw, love your blog..do you get to travel by earning miles or so? I really don’t know much about that,trying to read more of your awesome adventures to learn!